Investors who open an offshore company (IBC) in the British Virgin Islands have a number of advantages, starting with a lack of corporate taxes and including easy and simple company management requirements. The fact that this jurisdiction has a good reputation as an offshore center for the incorporation of international business companies, attracts many foreign investors. The BVI offshore company may be used for a number of purposes and it is particularly opportune for foreign businesses. Investors may use a business structure incorporated in this location for asset protection and management as well as expanding their business. The International Business Company that is commonly incorporated here by foreign investors is a flexible business structure and some investors also choose the jurisdiction for the purpose of incorporating special purpose vehicles, particularly funds. 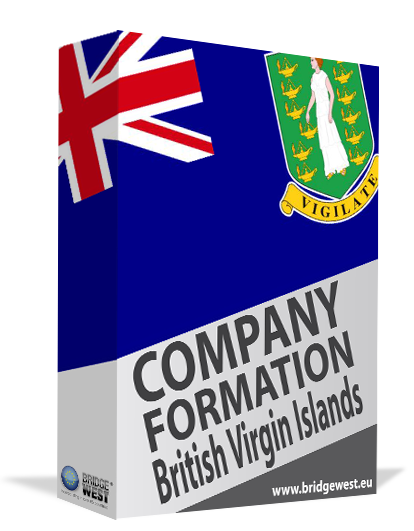 Our BVI company formation agents describe the characteristics of the International Business Company in the Virgin Islands and point out the main steps for incorporation. Investors interested in British Virgin Islands company formation have a number of benefits when choosing this jurisdiction for offshore company formation. Among them we can include: no taxes on company profits, capital gains or inheritance, no value added tax and a convenient level of privacy for company directors. - consulting services and many others. The type of company used in the British Virgin Islands by foreign investors is the International Business Company. This legal entity is sometimes referred to simply as the Business Company or BC. It requires at least one director and one shareholder and they can be natural or legal individuals. There are no restrictions on the nationality of investors. The following table includes the main traits of the BVI IBC which are also important advantages for all foreign investors interested in opening an offshore company in this jurisdiction. Non-resident director This is permitted, there are no restrictions on the nationality of the company directors. No taxes The BVI is exempt from the income tax in the Islands and from any taxes on dividends, interest or royalties. Legal personality The BVI has legal capacity and powers and what’s more, it also has a flexible structure. No accounting obligations There are no mandatory requirements for preparing or filing the annual financial accounts. This type of company has no requirements for a paid-up capital and it can be paid partly or fully upon incorporation. Standard values for the authorized capital are used in practice. As far as the lack of accounting obligations are concerned, while there are no annual filings and reports, the company must keep a record of its transactions. One of our agents who specialize in BVI company set up can give you more details. The public disclosure of the beneficiary owners/s of the company, as well as that of the shareholders and directors, is not mandatory – an important advantage for foreign investors who wish to maintain their anonymity while conducting business in the British Virgin Islands. Their identities will be known to the Registered Agent who will also update the information about the beneficial owners, as needed. However, investors can keep in mind that this information is not disclosed publicly at any time. The BVI have their official currency the US dollar and there are no exchange controls. What’s more, the official language is English, making this jurisdiction even more attractive to foreign investors, particularly those from the United States. The BVI owes much of its success to a re-interpretation of its companies law that also lead to a change in the name of the international business company which is not commonly referred to as the BVI Business Company or simply the BVI. With the new law, the British Virgin Islands abolished much of what was considered a discriminatory policy for onshore and offshore legal entities and now allows complete tax exemption from the corporate income tax for all types of companies. The BVI Business Company is a reinterpreted, flexible and advantageous business structure, compared to the former international business company that was being incorporated in the Islands prior to the company law change (which was reformed in 2005 although the jurisdiction had been a recognized tax haven since the late 1980s). Our team of BVI company incorporation agents has worked with many foreign investors looking to open a BVI Business Company and we can provide both pre-registration and post-registration counseling and advice to investors who have questions about the offshore company regime in this jurisdiction. We are a full-service incorporation firm and can assist investors in drawing up the constitutive documents as well as making the necessary submissions for registering the company. 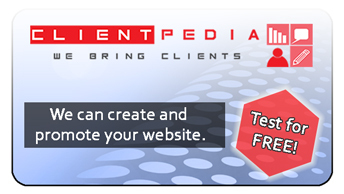 What’s more, we also provide registered agent services to business owners. Having a registered agent as well as a registered office is mandatory in the British Virgin Islands and our team provides complete company incorporation packages that include the full range of secretarial and office services and, upon request, virtual office services. 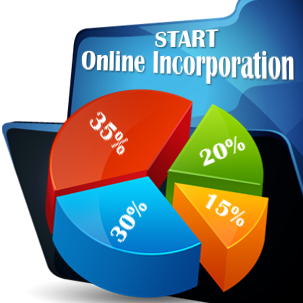 The company incorporation process is a straightforward one, however, investors interested in special types of business activities might need to obtain additional licensing, for example in the case of mutual funds. We can also provide adequate assistance for obtaining these licenses as needed. Our services are available to clients worldwide and, before we can process the company formation order for a client, we will require a number of details from the business owner as well as a set of documents. The British Virgin Islands are known for being a jurisdiction that protects the identities of beneficial owners, allowing them to remain anonymous, however, during our collaboration, we will need your identification details for the purpose of incorporating the business. In practice, the beneficial owner’s identity will not be made public in the Companies Registry, like in regular jurisdictions around the world. Nevertheless, for those investors who need a higher degree of confidentiality, our team can provide nominee director and nominee shareholder services. It should also be noted that the identities of the beneficial owners will be known to the company’s representative agent who can be one of our team members should you choose to select this service. Our team will prepare the Memorandum and Articles of Association as well as any other documents needed to register the BVI as per the Companies Act. The BVI is a tax-neutral jurisdiction, however, a government fee applies upon registration and the on a yearly basis (the payment fees and the annual deadline must be observed in order for the company to be able to maintain a status of good standing). These fees can be calculated and included in the general company formation packages provided by our team. Investors who wish to purchase a ready-made company rather than incorporate a new legal entity can discuss this option with one of our agents. Although the general company registration procedure is fast in Belize, this can be a viable option for those investors who wish to start trading via a legal entity that has seniority because it was incorporated at a previous date. Our team of BVI company formation agents can process your company incorporation order in a matter of days, depending on whether or not the company will need additional licenses. The British Virgin Islands offer a number of advantages to investors, from a beneficial BVI regime to political stability and an independent judicial system. For more information about BVI company incorporation, we invite you to contact us. One of our agents will be able to assist you with detailed answers to your questions.